It was #DestinationDarlington for the University of Georgia tonight! 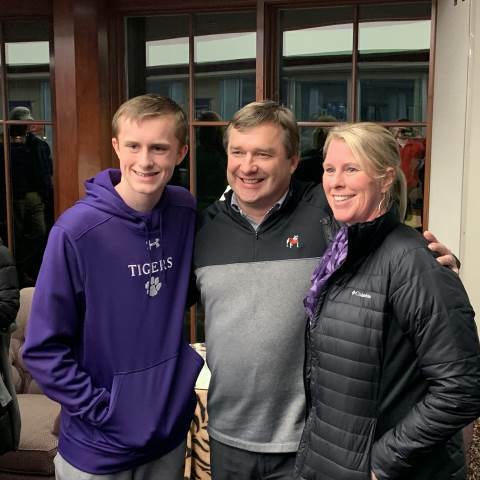 Not only did Assistant Vice President for Admissions and Enrollment Management Patrick Winter meet with our junior class, but Head Football Coach Kirby Smart stopped in to check out the basketball game. Great to have the Dawgs on campus!